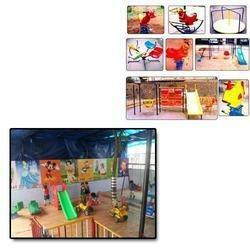 Our range of products include kiddie rides for play group schools. With the assistance of our team of professionals, we are engaged in offering a broad array of Kiddie Rides for Play Group Schools. In offered rides covering is provided on all the four sides, so that the children do not fall off. We are offering different types of kiddie’s rides that are perfect for enjoyment and fun for the children, who belong to the age group of 2 to 6 years. The offered rides are widely demanded in the play group schools and are available in varied specifications at the most affordable price. These rides are available in different shapes and sizes with wide range of colors. Looking for Kiddie Rides for Play Group Schools ?